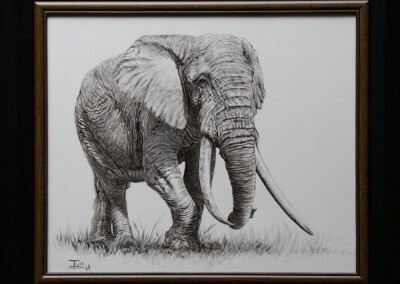 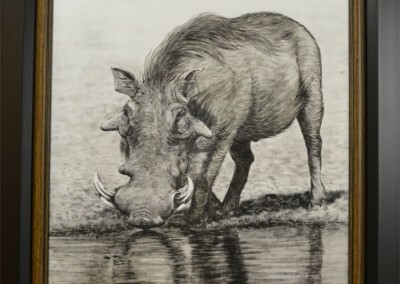 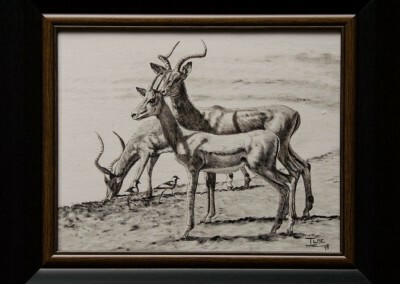 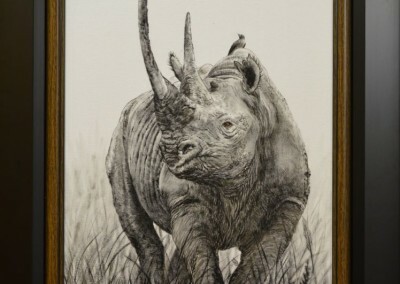 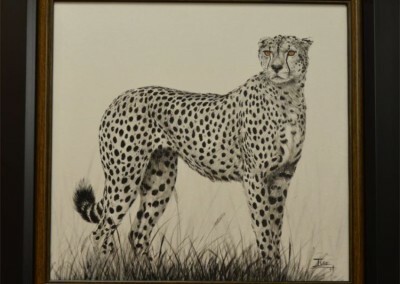 I developed the new range “Black & white-paintings” in 2009 & since then they have become very popular & sought after. 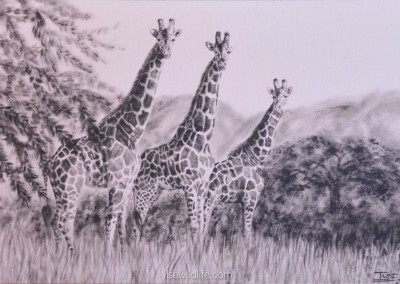 Since I don’t do any giclees or prints, I wanted to present a smaller, more “modern”, but still ORIGINAL painting to the public & art lovers out there. 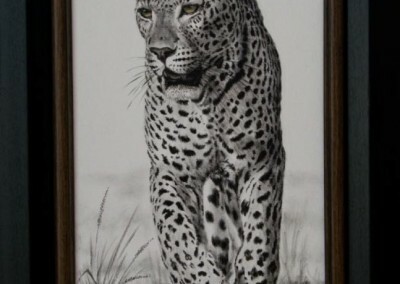 These paintings are unique in the sense that the only color in the painting (if any) will be the animals eyes. 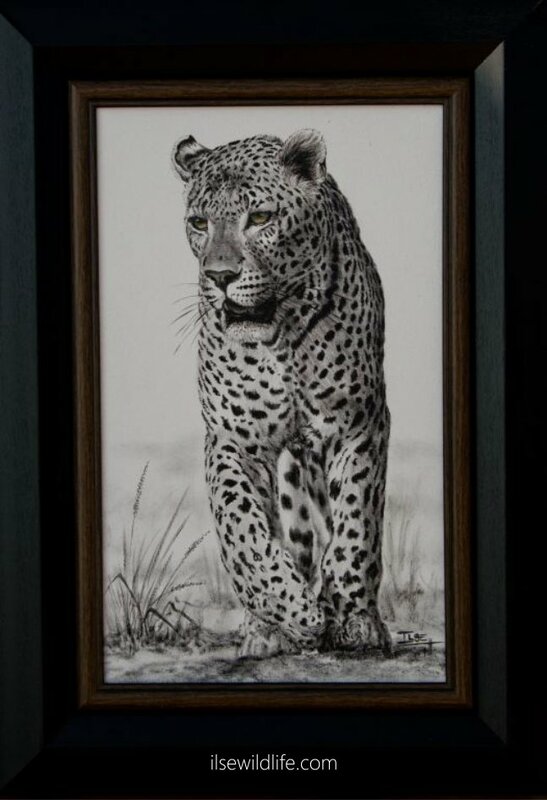 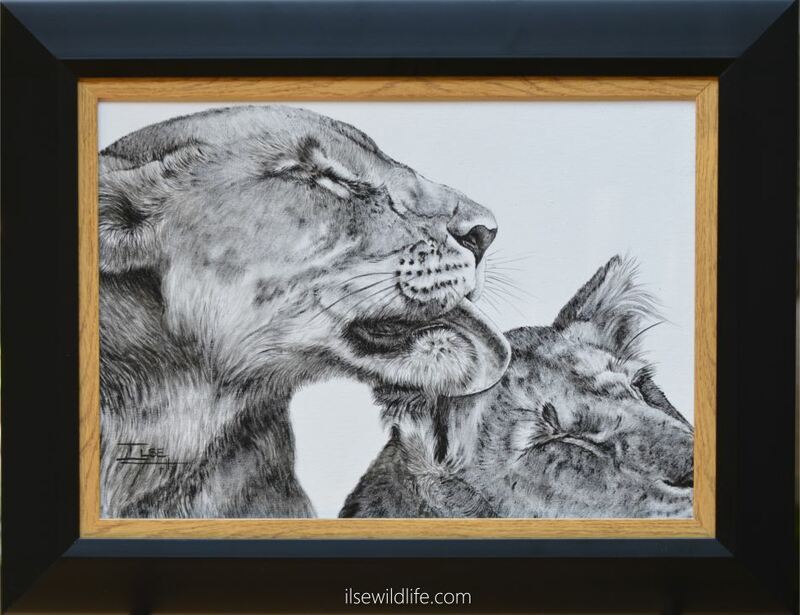 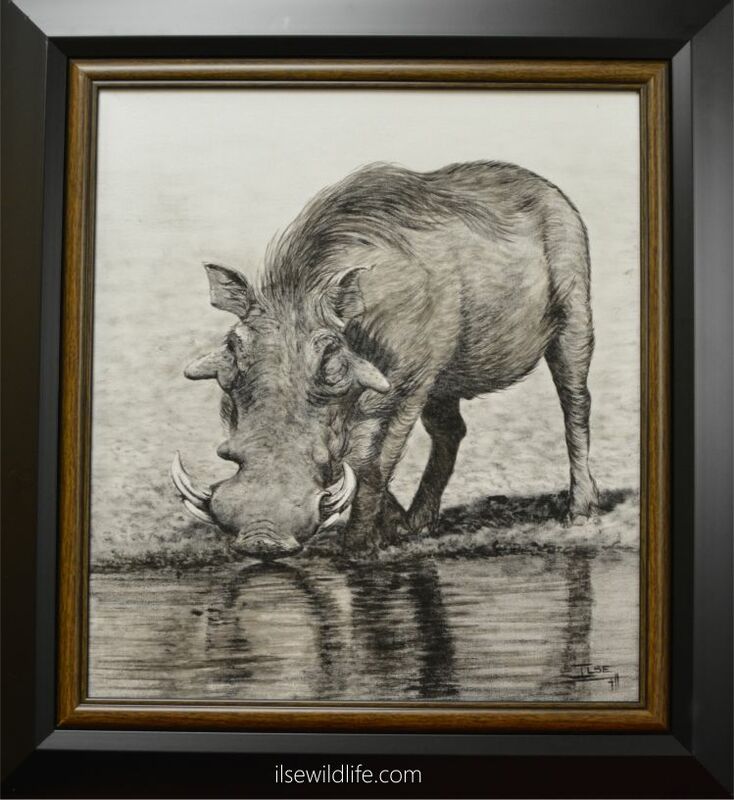 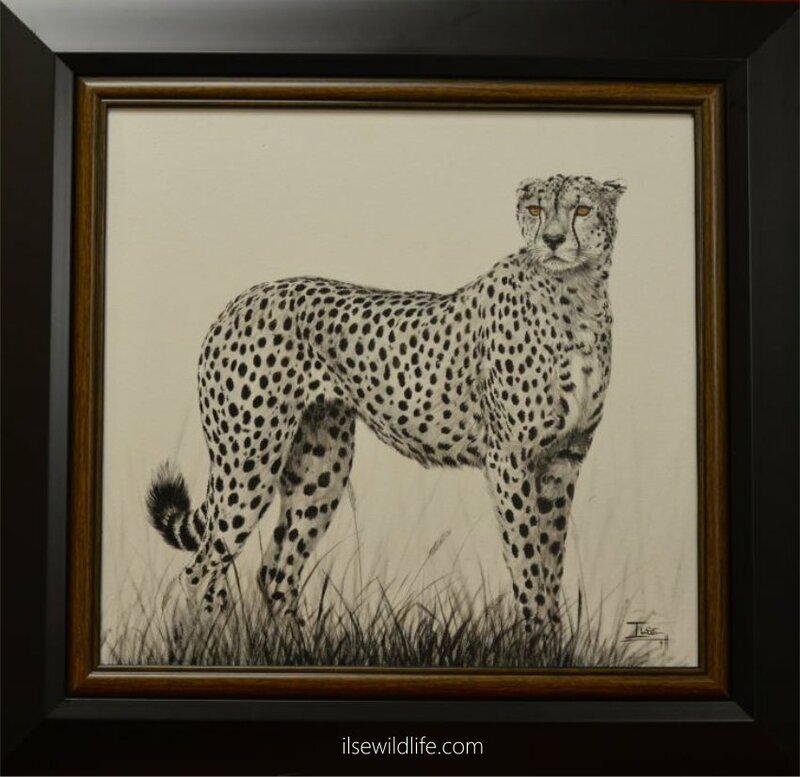 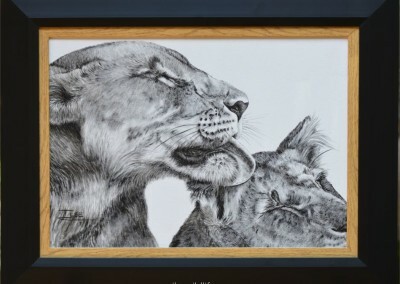 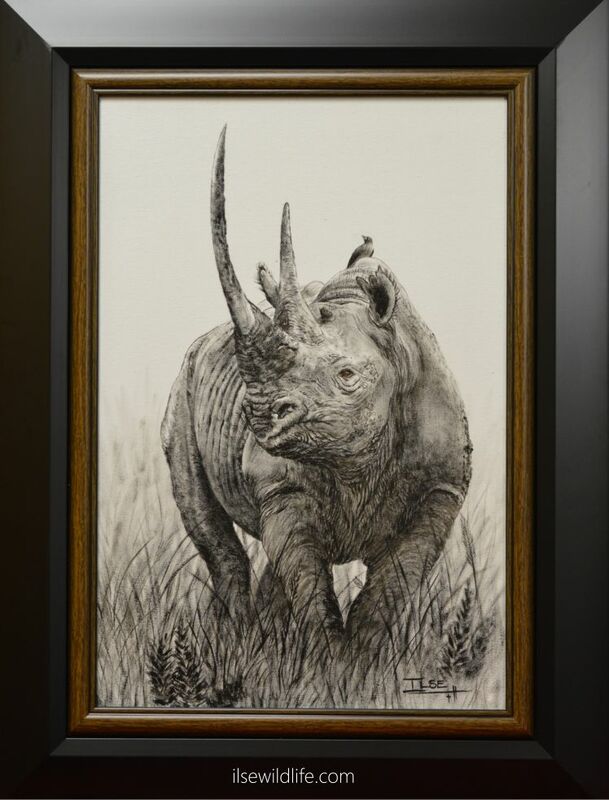 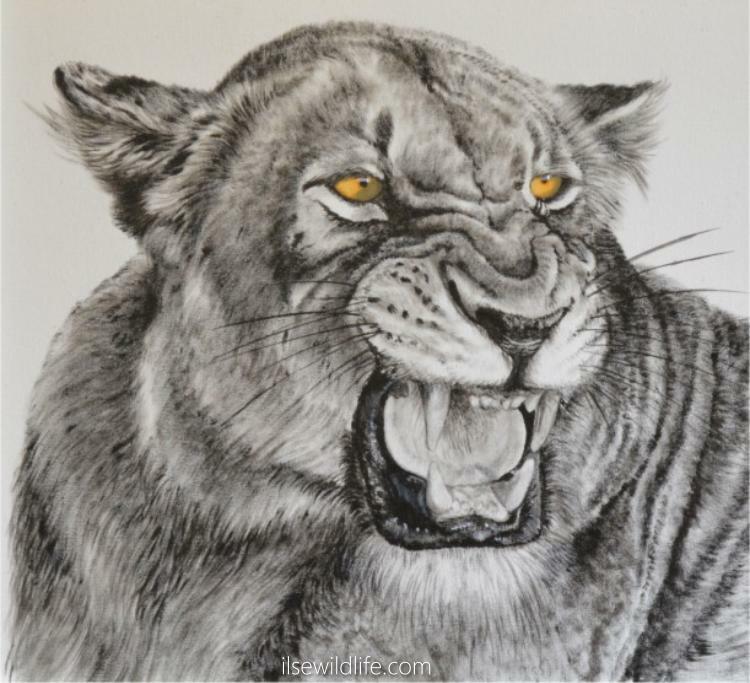 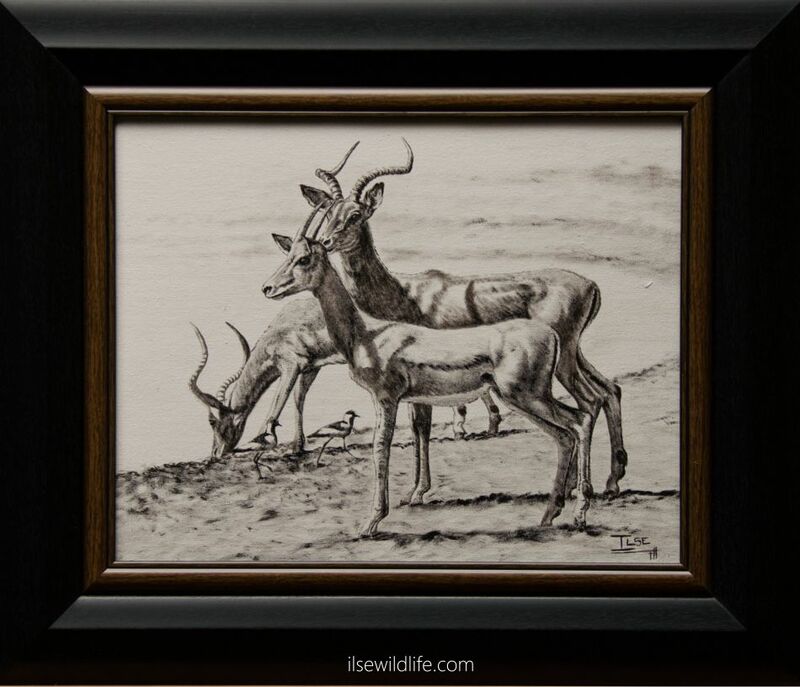 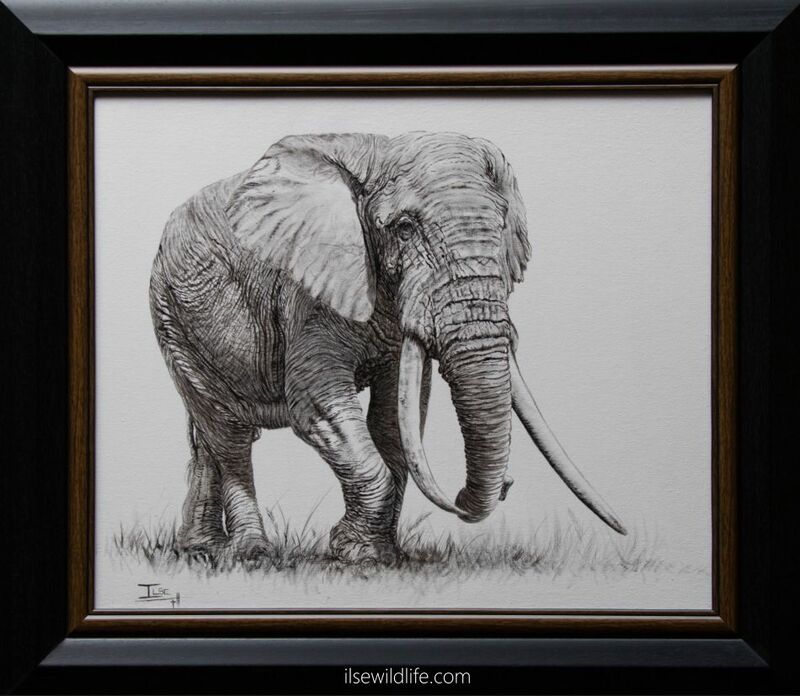 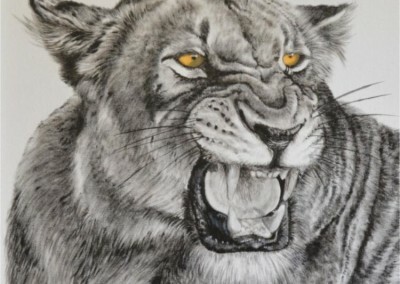 The “Black & whites” are done using black acrylic on white artist canvas and sealed with a professional varnish made especially for acrylic artwork. 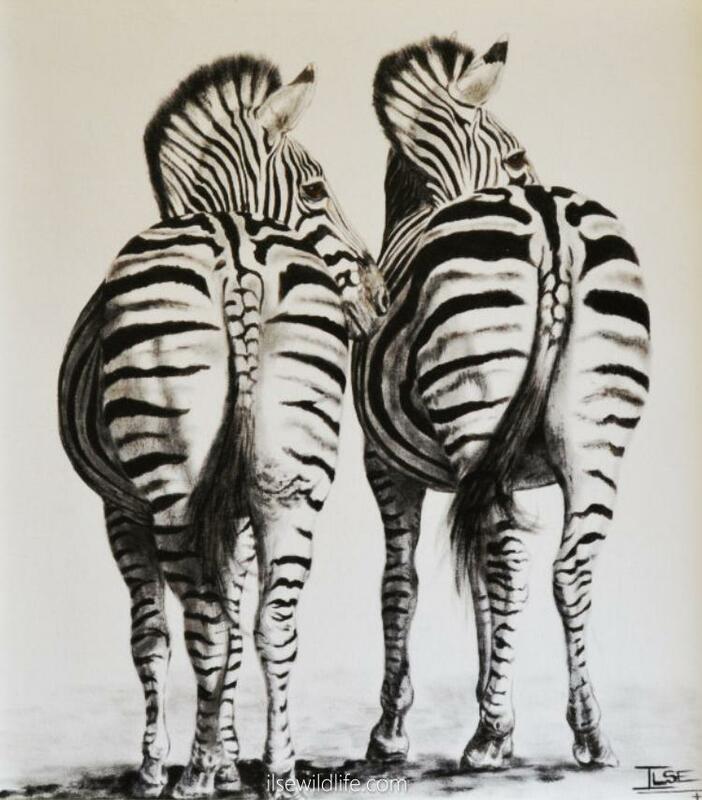 The “Black & whites” make a stylish statement and immediately become a focus point in any room, whether it’s a study, living room or hallway. 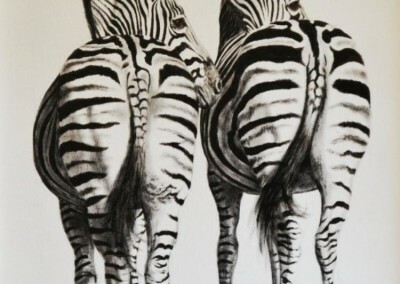 They also group together beautifully. 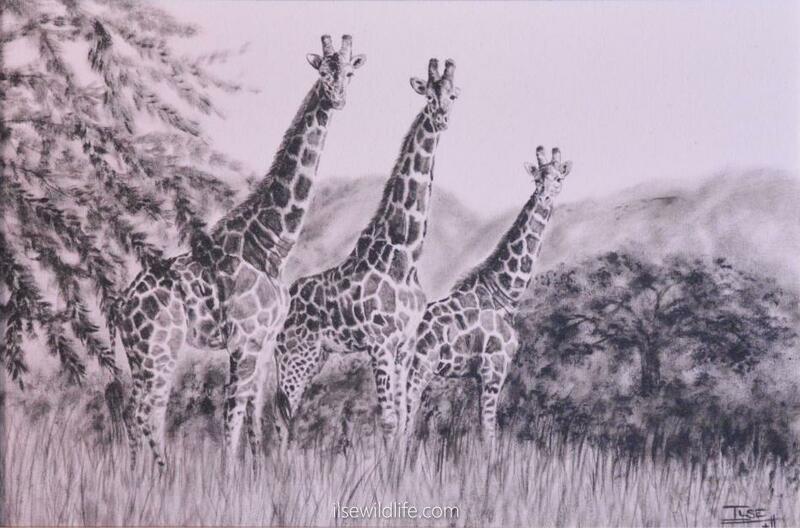 Herewith a few examples of “Black & white” paintings I have done.